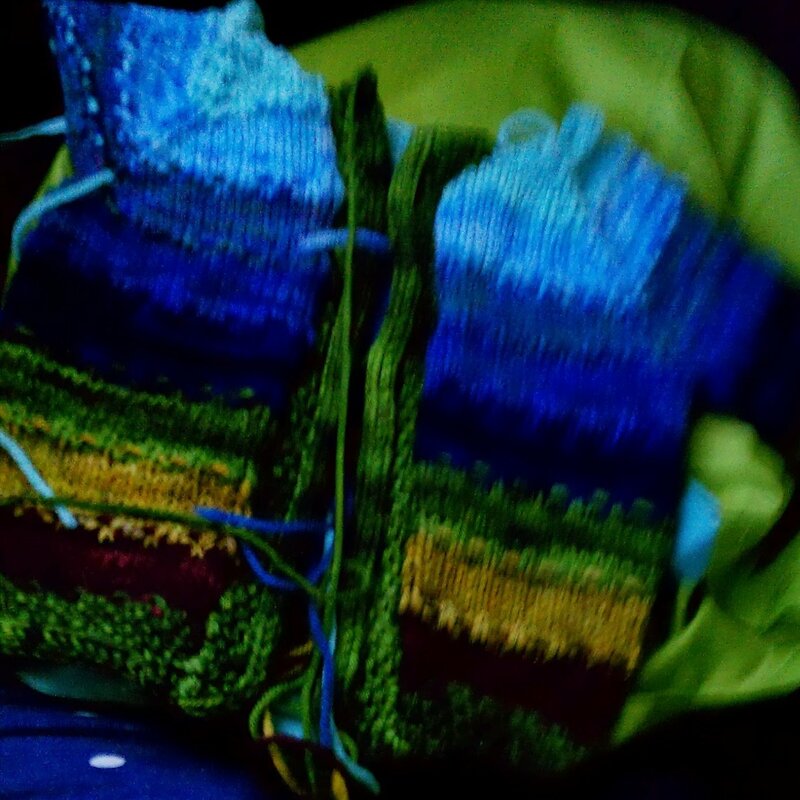 Because I know you want to see blurry photos of me knitting baby sweaters on a bus. For a long time I was a smartphone holdout simply because it just seemed anti-frugal. I already resented paying $95/month to Verizon for two flip phones on the cheapest plan available, and I wasn't about to let that dollar figure budge upwards. But as part of my recent intense budgeting obsession I discovered we could switch to a no-contract provider, save $1,000+ over the next two years AND have smartphones. So my husband and I bought three-year-old refurbished Android phones on eBay and activated them with Ting (my $25 coupon referral code is here if you want it). So yes. Follow me on Instagram (and on my Facebook page, if you like). P.S. 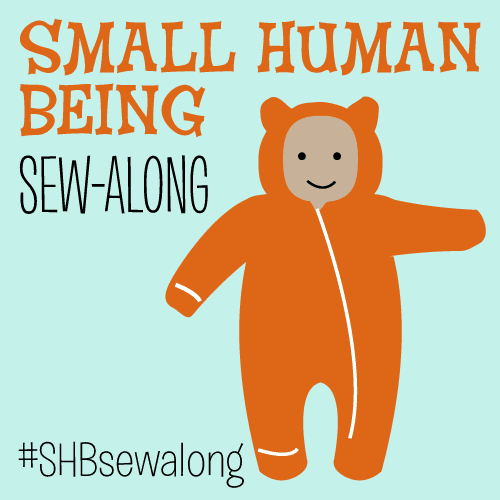 Also: am I the last sewing blogger to get a smartphone? Are any of you other thrifty types still rocking flip phones or candy bars? As much as I love the camera and other capabilities, it still doesn't seem like a proper PHONE to me... but I'm sure I'll get use to it. I'm glad I wasn't the only holdout. I think flip phones and candy bars are actually much better as PHONES (I had a Samsung Convoy that was super rugged and never lost a battery charge) but the camera thing was a tipping point for me personally. Those slippers! So cute! I've had a smartphone for a while (I had to get one for my work, but they paid for it, so I guess it balanced out). They're very handy, especially since I work out in the field without access to an office or computer very often, but I'm still not a huge fan because the boundaries between work and home are basically nonexistent now. I get calls, texts, and emails all day and night (not an exaggeration). On the other hand, all of my family is out of state, so it's fun to watch videos of my nephew that my sister takes on her camera phone. I guess it's a tradeoff! I know, I also find Twitter overwhelming, I miss 95% of tweets and it's just too much so I barely go there. So far I am really loving Instagram. I'm a 30-year-old with only a hunter green piece of plastic from the 80s -- complete with curly cord and touch-tone dialing pad. No voicemail, no call display. LOVE IT. I wouldn't consider myself a sewing blogger, but I'm the only late-twenty-something I know that doesn't even own a cell phone. Nada. Although I would love to have an easy-to-use camera to tote everywhere. Well, you can definitely get a camera with no phone attached! :) I bowed to the cell phone pressure in 2003 when I moved to NYC and shared a 1-bedroom apartment with 3 roommates (I had the livingroom, two of them had big closets, and the lucky roommate had the actual bedroom). Haha! My husband and I love what we call our "drug-dealer phones" - no contract, pay as you go. Can't imagine life without a smart phone. I'm hooked. I tell myself that it's a necessary component for my job, so that I can check work emails, etc., but I'm more often surfing Etsy or Facebook!